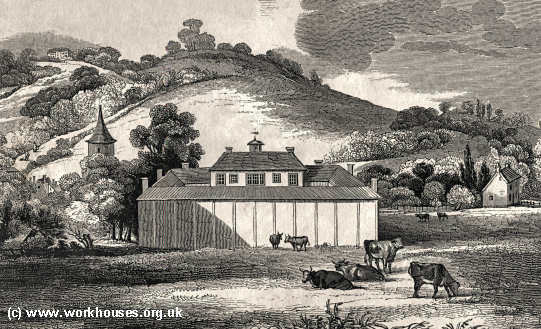 A parliamentary report of 1777 recorded parish workhouses in operation in Bridge (for up to 36 inmates), Harbledown St Michael (10), Holy Cross—Westgate (30), Nackington (12), and Thanington (12). Following Gilbert's Act of 1782, Gilbert Unions were formed centred on Harbledown and Petham. The Harbledown Union's members eventually included Canterbury Holy Cross Westgate, Graveney, Harbledown, Hernhill and St Dunstan. The Petham Gilbert Union included the parishes of Petham, Lower Hardres, Waltham and Crundale. 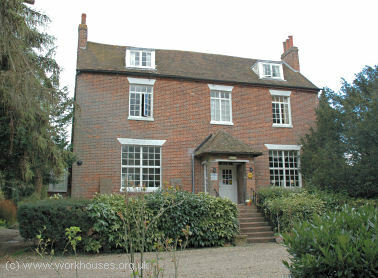 The Union erected a workhouse on 3 acres of common land known as Handville Green. In 1828, it transferred to private ownership, with one of the outhouses being used as a bakery and another as a beer shop. During World War Two it was taken over by the army and the garden turned into a potato field. The building is now a hotel. Petham former parish workhouse, 2005. 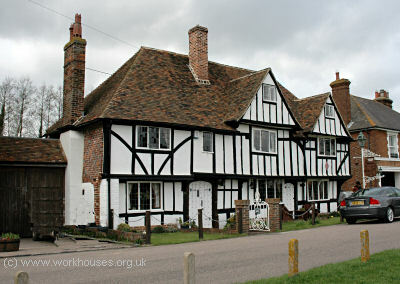 A house on The Green at Chartham, at one time an inn, was later used as the Chartham parish workhouse. Chartham former parish workhouse, 2005. Littlebourne's parish workhouse was located on The Hill. 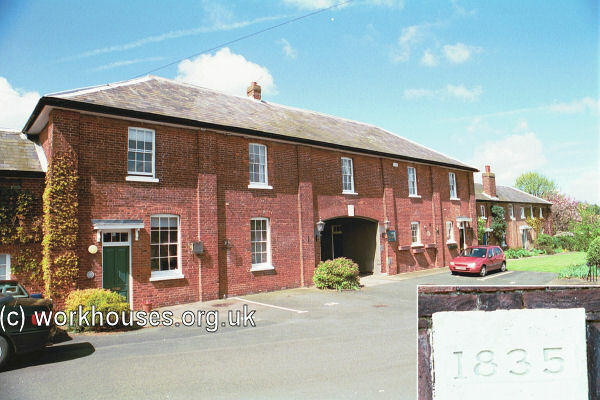 Littlebourne former parish workhouse, 2005. 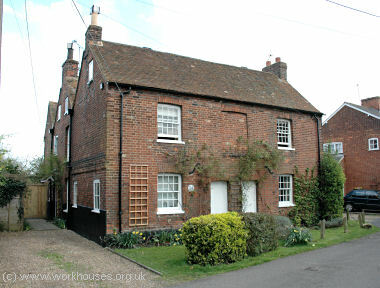 A house, still known as the Old Workhouse, served as the parish workhouse in Wickhambreux. 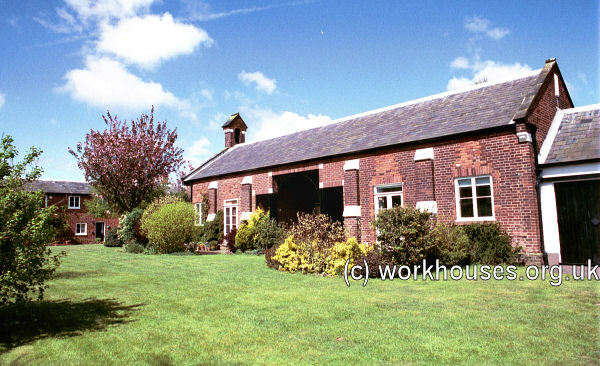 Wickhambreux former parish workhouse, 2005. County of Kent: Adisham, Barham, Beaksbourne or Beakesbourne, Bishopsbourne, Bridge, Chartham, Fordwich, Harbledown, Lower Hardres, Upper Hardres, Holy Cross Westgate Without, Ickham, Kingstone or Kingston, Littlebourn, Nackington, Patrixbourne, Petham, Stodmarsh, Thunington or Thanington, Waltham, Wickhambreux, Womenswould. The population falling within the Union at the 1831 census had been 10,139 with parishes ranging in size from from Stodmarsh (population 119) to Barham (1,053). The average annual poor-rate expenditure for the period 1831-4 had been £9,808 or 19s.4d. per head of the population. The Bridge Union workhouse was erected in 1835-36. It was designed by George Lancefield of Canterbury following Sir Francis Head's model courtyard plan which was also adopted by other Kent Unions such as Cranbrook, Dartford, Dover, East Ashford, Eastry, Malling, and Tonbridge. The Bridge workhouse, which opened in February 1836, was designed to accommodate 350 inmates and its construction cost £4,376. Its location and layout are shown on the 1906 map below. Bridge workhouse from the north-west, 1836. The entrance block at the south-east had an archway leading through to the porter's room. Bridge entrance block from the south, 2001. The courtyard ranges were of two storeys, with access to the upper floor being by external iron staircases. Bridge east range from the north-west, 2001. In 1846 a chapel, designed by H Marshall, was erected at the centre of the courtyard. Bridge chapel from the south, 2001. Further additions to the west of the workhouse in about 1870 included a coach house, dead house, and new vagrant wards. The room layout is shown on an 1875 plan of the building. 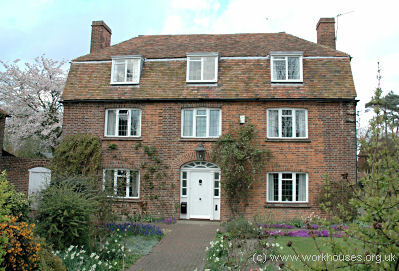 After 1930, the former workhouse became a Public Assistance Institution, mainly providing accommodation for the elderly. 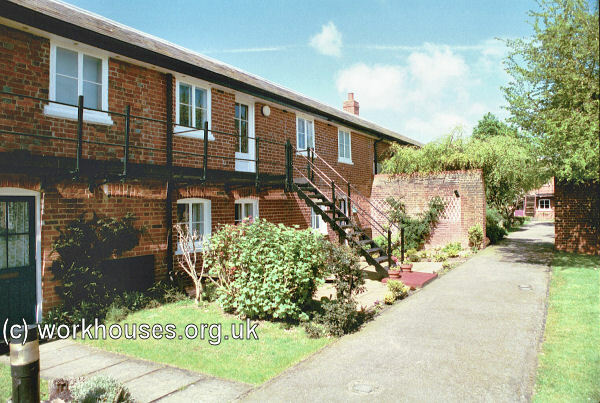 In the 1970s, the buildings operated as an old people's home but were converted to residential use in around 1982. Kent History and Library Centre, James Whatman Way, Maidstone, Kent ME14 1LQ Holdings include: Guardians' minutes (1835-1930); Births (1836-1912); Deaths (1835-1914); Admissions and discharges (1835-1934); Casuals admissions and discharges (1907-31); Indoor relief lists (1836-1933); Lunatics in workhouse (1870-98); Lunatics dead or discharged (1878-1919); Apprenticeship register (1865-1911); Register of infants (1905-26); Register of children sent to training homes (1916-24); Register of children boarded out (1894-1913); Removal orders (1832-1926); etc. Canterbury Cathedral Archives, The Precincts, Canterbury, Kent CT1 2EH. Baptisms (1855-94).